Omega-3 oils have long been touted by the health conscious as something of a wonder supplement, assisting in everything from boosting our bodies ability to combat heart disease to helping us keep our hair healthy and shiny. Many veterinarians are also starting to realize the benefits of Omega-3 for dogs, and across the country more and more pet-health specialists have been recommending the supplement to dog diets each and every year. You may hear Omega-3 fats commonly referred to as “fish oil”, as fish oil is the most common source for these otherwise hard to get Omega-3 fats. So, what exactly can Omega-3 do for your four-legged friend? Let’s get into that after our list of the best Omega-3 supplements for dogs. When it comes to picking out an Omega-3 supplement for your dog there’s a variety of forms you can choose. The two most common types of supplements are chewable pills and oils. With chewables, these are very similar to human vitamins you may take. They come in a container and you can feed them to your dog like a treat. Chewables have a few distinct advantages over oils. The biggest drawback of chewables is they are more processed than oils and they contain much less Omega-3 per serving. For example, two chewable pills may have ~450mg of Omega-3 fats in them, but just a single pump of a fish oil supplement has over 1000mg! I did the math on a chewable supplement and an oil supplement made by the same company. The chewable supplement had 727mg of Omega-3s per $1 whereas the oil supplement had 6,089mg! So generally speaking, you get over 8x the amount of Omega-3s in an oil than in a chewable at the same cost. That being said, an oil supplement isn’t for everyone. It pumps out of a container (like soap or some shampoos) and requires you to keep it in your refrigerator once you open it. The mix of keeping fish oil constantly in your fridge and the potential mess of pumping oil into your dog’s boil can be a big turn off and we wouldn’t blame you for stick with pills. With that information in mind, here’s our top recommended Omega-3 supplements in different forms. Zesty Paws is all about dog supplements and they’re one of the most trusted names in the space. 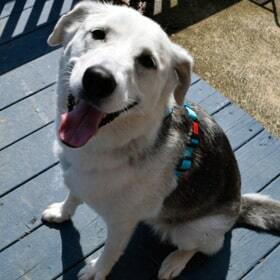 When it comes to chewable supplements, their Omega Bites line of soft chews are our top choice. 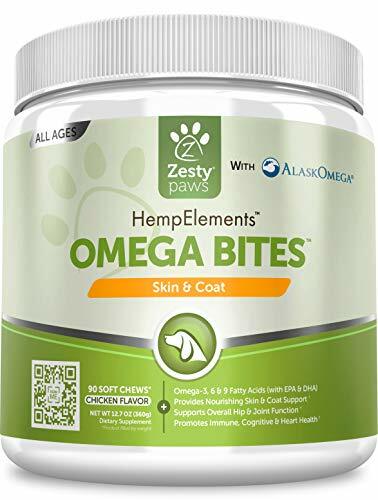 Zesty Paws offers 3 different varieties of Zesty Bites currently – a Chicken flavor and a Bacon flavor that derive their Omega-3s from fish oil, and a Chicken-flavored Hemp chew that gets its fats from both hemp oil and fish oil. Hemp is an attractive alternative if you have environmental concerns like over-fishing our oceans. The hemp variety of these chew is a bit more costly but gets you 278mg of Omega-3s per soft chew compared to 201mg for the others. Zesty Paws recommend 1 soft chew per day for dogs under 25 lbs, 2 soft chews for dogs between 25 and 75 lbs, and 3 soft chews for any big dogs over 75 lbs. Now for a liquid variety of Omega-3s, we return to Zesty Paws and their wild Alaskan Salmon Oil. This 32 oz bottle is pretty large (almost 9 inches tall) and you get a lot of bang for your buck. This bottle contains roughly 192 pumps of oil, and each 1,100mg of Omega-3s! Most dogs would do great with this as their daily serving though Zesty Paws says you can do up to 6 pumps for dogs over 100 lbs. The nice thing about the liquid form is you can easily experiment with more or less as you see fit in a cost effective manner. Keep in mind you must refrigerate this bottle once you open it up! The best way to give this oil to your dog is to pump it onto their kibble before feeding. You’ll find that if your dog is a picky eater they’ll find the oil to add a lot of flavor and they’ll eat their food up right away. What Are the Benefits of Omega-3 Fish Oil Supplements for Dogs? So now that you know there are some great options out there for fish oil supplements, why should you bother using them? There’s actually a great number of benefits. 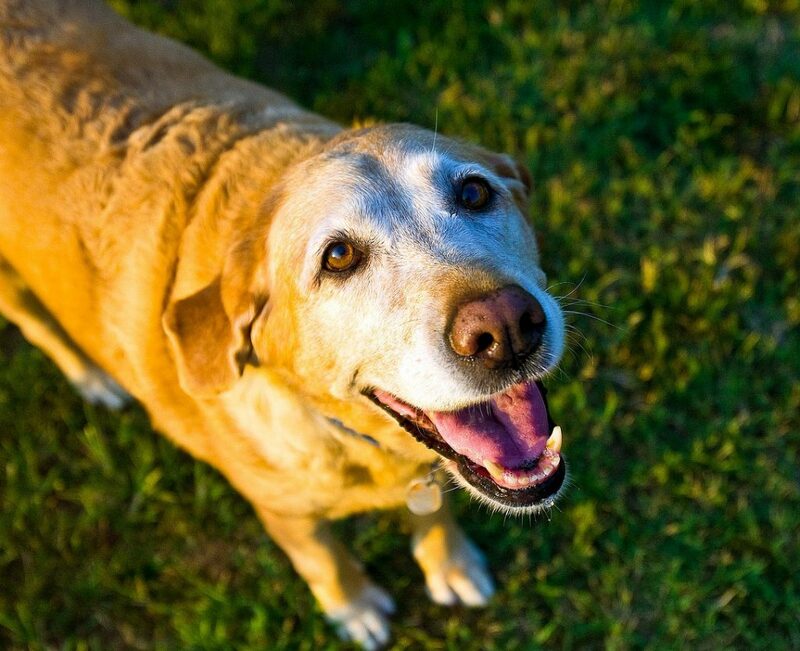 Most dogs suffer from inflammation problems once they reach a certain age. Some breeds are especially prone to having inflammation issues that can become extremely painful and potentially crippling. Fortunately, however, science has shown that Omega-3 supplements can take a leading role in reducing inflammation and allowing your canine companion to carry on pain-free. 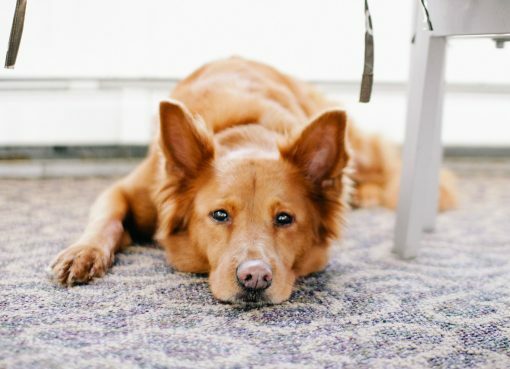 Those anti-inflammatory effects that Omega-3’s can bring aren’t just helpful for dealing with joints and muscle pain, but they can also help clear up those pesky skin conditions that plague millions of dogs across the country. 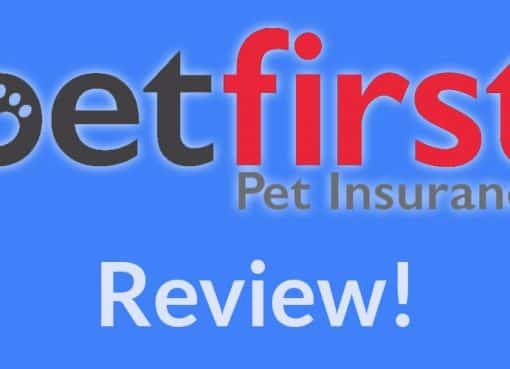 For dogs with atopic dermatitis this has proven to be a great help, and Omega-3’s have also shown promise in quelling the rashes and other break-outs that many dogs experience when exposed to any number of unwanted allergens. Some dog owners turn to fish oil because their dog’s skin and coat simply feels dry. Adding these healthy fats into their diet can turn this around in just a matter of weeks which will lead to healthier coats that hold their moisture and less itching. Omega-3’s can also help to lessen the frequency and volume of pet dander as well, something which can be vitally important in a home where owners might have friends or relatives with sensitivities to pet dander. In addition to the above, Omega-3’s also help to make sure that our furry friends can stick around with us for as long as possible. A study in 2004 about the effects of Omega-3’s revealed that there was a “significantly longer survival time for dogs receiving n-3 fatty acid supplementation,” in large part thanks to the ability of these fatty acids to improve cardiovascular health. Experts at the Cummings School of Veterinary Medicine also believe that Omega-3’s can also be used to help dogs who are suffering from heart murmurs. 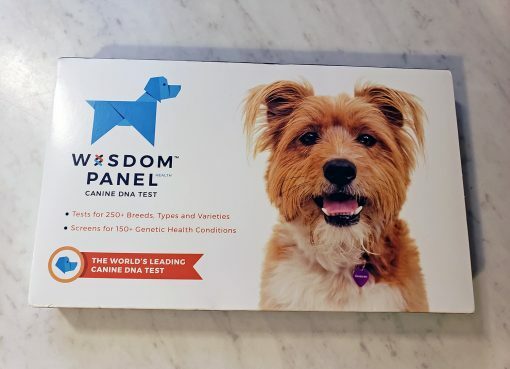 According to them, the important fatty acids contained in Omega-3’s, when used in conjunction with the appropriate medication, can actually be part of an important treatment plan to help pups live long, healthy, happy lives. This might sound too good to be true, but research says that it’s a fact! 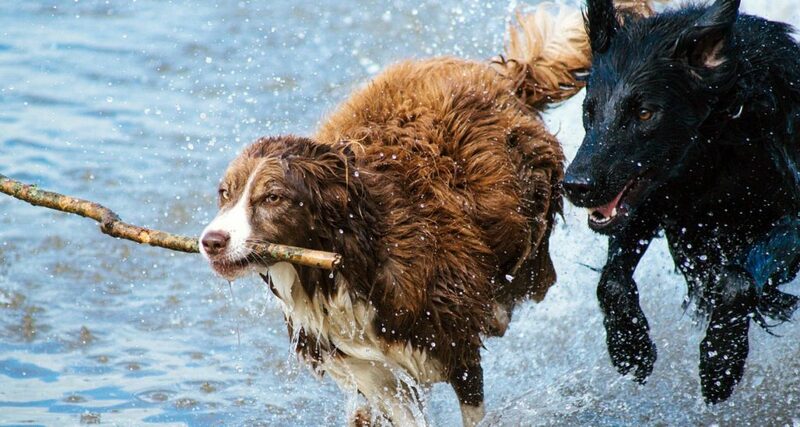 Omega-3’s have the fatty acids that dog brains crave, and they have been shown to play a role in bringing canine cognitive ability to new heights. Omega-3 is so good at boosting the cognitive abilities of our furry friends, in fact, that the American Kennel Club even advises new dog owners to begin administering an Omega-3 regiment almost as soon as you get your new puppy through the door. According to a 2012 report in the Journal of the American Veterinary Medical Association, researchers found that puppies fed a steady supplemental diet of Omega-3’s “had statistically significantly better results in various learning, visual contrast discrimination, and psycho-motor performance tasks than puppies that were offered diets containing only low or moderate levels of DHA.” And that’s just one report. There is a plethora of solid, scientifically backed information out there to support the idea that Omega-3’s support healthy brain function. 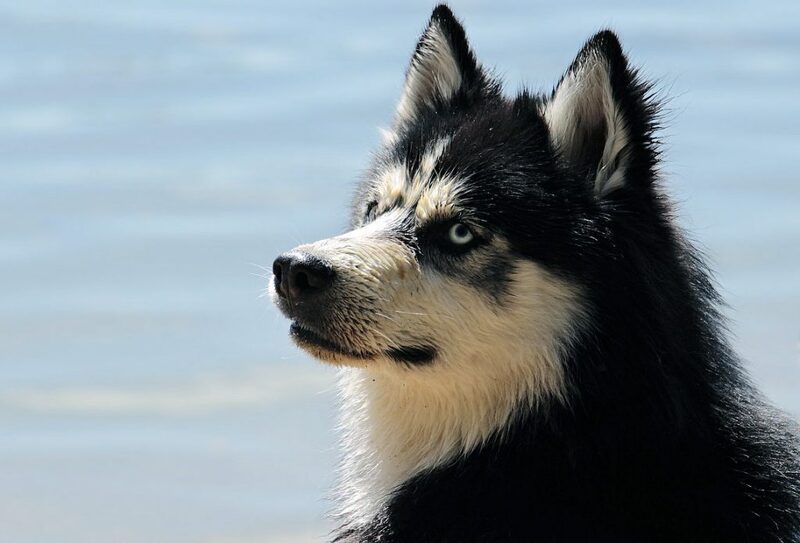 Many dog owners report less shedding after introducing fish oil into their dog’s diet. 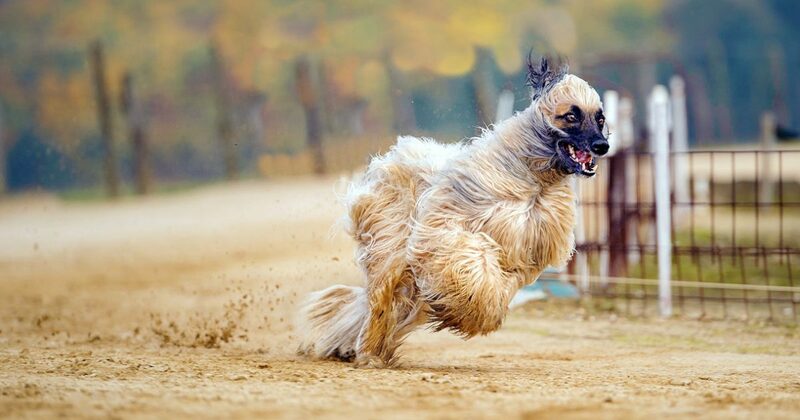 Heavy doses of Omega-3s are known to stop shedding in addition to promoting overall skin and coat health – a major win if you have big dogs that shed! Is it possible give my dog too much fish oil? That’s quite a lot! More than you’re likely to come close to with most supplements, so overfeeding your dog Omega-3’s typically isn’t a huge concern. Also remember that this isn’t research saying that if you go over this safe limit than something bad will happen. It’s just a stopping point that should be safe for most dogs.